New Delhi: Finance minister Pranab Mukherjee on Friday expressed concern over costlier vegetables, fruits and milk pushing up food inflation to 9.41% for the week ended 24 September, and said he has been in touch with the Reserve Bank of India (RBI) on how to rein in the rate of price rise. As per ministry of commerce data, vegetables became dearer by 14.88% year-on-year during the week under review, while potatoes and onions became more expensive by 9.34% and 10.58%, respectively. Fruit prices went up 11.72%, milk by 10.35% and eggs, meat and fish by 10.33%. 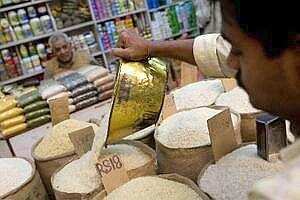 Cereals became dearer by 4.57% and pulses were up 7.54% on an annual basis in the seven-day period. Headline inflation, which factors in manufactured items, fuel and non-food primary items, in addition to food commodities, stood at a 13-month high of 9.78% in August. RBI has already hiked policy rates 12 times since March 2010, to tame demand and curb inflation.